Please note that Cybershield offers chrome plating services to commercial manufacturers and not for chroming or re-chroming personal vehicle parts. Cybershield offers bright chrome plated plastic with environmentally friendly trivalent chrome plating plastic chemistry (RoHS Compliant). Equivalent appearance, corrosion resistance and wear resistance as hexavalent chrome plating plastic. 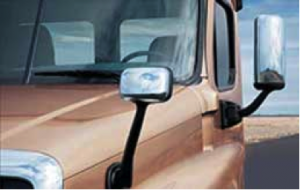 Cybershield offers chrome plating plastic without the environmental issues associated with traditional chrome plating. Plateable Plastic Resins – ABS is most commonly used for chrome plating plastic applications due to the ease to plate and provide smooth and consistent plated plastic surface finish. Cybershield has developed plating processes to plate a wide range of ABS grades, even those grades not necessarily listed as “plateable ABS”. Cybershield is developing processes to chrome plate other plastic resins types for applications that require superior mechanical properties and/or higher thermal performance. At this time we are only capable of chrome plating ABS and achieving the desired bright, smooth, reflective surface finish. 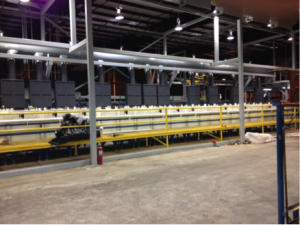 We can still plate many other plastic resins with functional metal coatings. See table on Plating Plastic page for listing of resins that we can plate with functional plating finishes (but not bright chrome plating finishes). We will update our progress to develop chrome plating process for other resins. 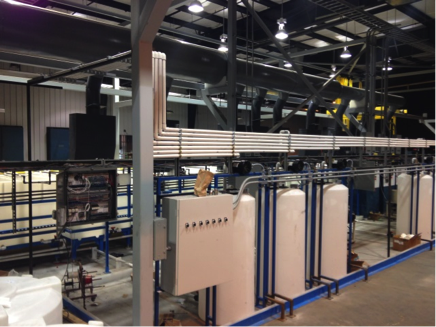 Cybershield has completed installation of automated, state-of-the-art decorative chrome plating line at its Lufkin, Texas facility. This line was installed at the end of 2013 and is now fully operational and supporting our customers production programs. It provides Cybershield with capability to meet all automotive exterior specifications for bright chrome plated plastic components and provides high volume production capacity to serve our customers’ needs. Apply initial electroless nickel plating layer, 20-40 micro-inches (0.5-1.0 µm) onto all surfaces of plastic part to make surface conductive. The conductive surface is required for electroplating plastic. Nickel is deposited with thickness ranging from 320-800 micro-inches (8-20 µm). Cybershield deposits duplex nickel to meet automotive industry exterior requirements. Download more information about plastic plating technology. 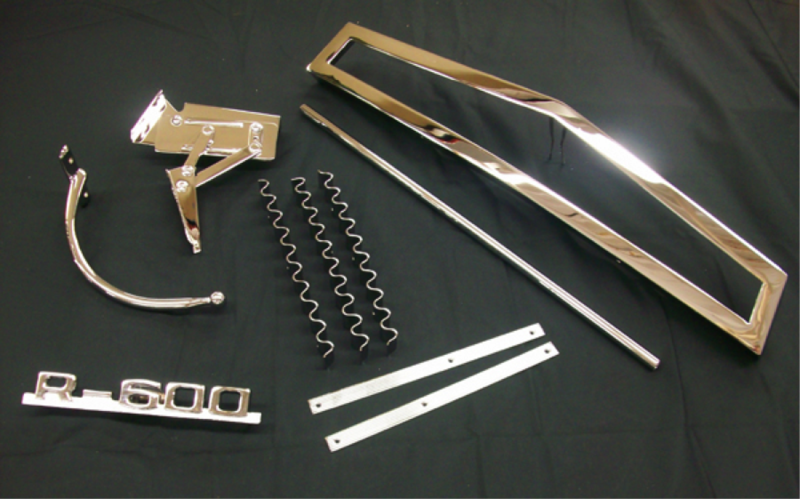 Our engineering team is ready to support your next chrome plastic plating project from conception through production. 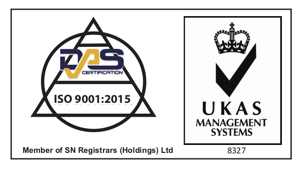 Contact Cybershield for Technical Specifications, Process Capability, and Application Assistance.